Trey Sermon, Sprayberry RB rushed for 254 yards and a touchdown on 32 carries in a 23-20 victory over Creekview. 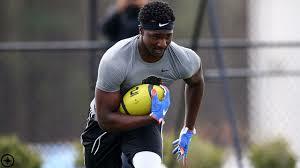 He is the ninth best running in the nation according to ESPN and is a member of the ESPN 300 ranked #80. He has committed to Oklahoma and Bob Stoops.